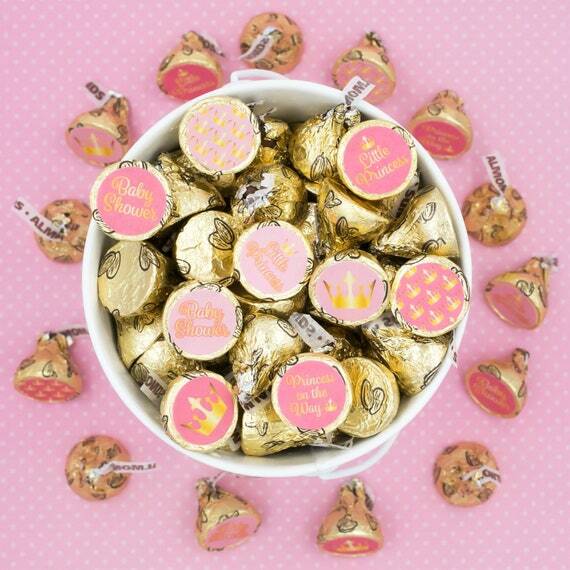 Little Princess Baby Shower Stickers: each set includes 324 round stickers (3 sheets total). NOT REAL GOLD FOIL. SIMPLY PRINTED DESIGNS.